Author: Louis Couperus. Version and adaptation: Peter van Kraaij. 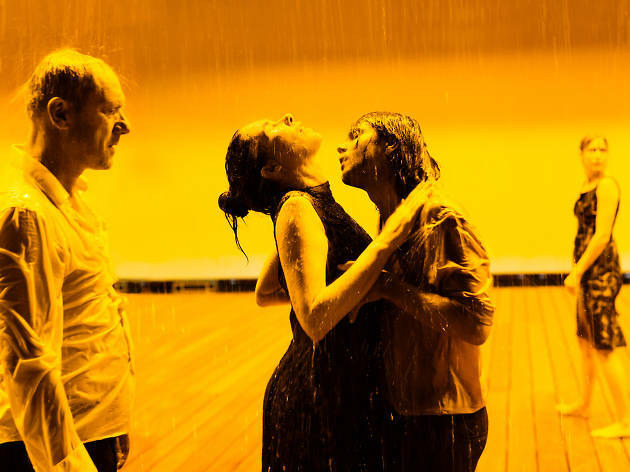 Director: Ivo van Hove. Playwright: Peter Van Kraaij. Cast: Aus Greidanus jr., Gaite Jansen, Gijs Scholten van Aschat, Halina Reijn, Jip van den Dool, Maria Kraakman, Marieke Heebink, Vanja Rukavina. Released just before David Bowie passed away in January, the music video for his track 'Lazarus' launched Dutch director Ivo van Hove onto the film-making star map and gave him an audience wider than few theatre directors ever reach. However, as Grec Festival fans know, Ivo van Hove was already a leading name in contemporary theatre, with productions under his belt such as 'Roman Tragedies', 'The Fountainhead' and 'The Human Voice'. Now he brings to Barcelona a work by one of the great names in Dutch literature, Louis Couperus (1863-1923), who wrote a visionary novel about the conflict between two irreconcilable cultures: East and West. The story is set in Java, where Commissioner Otto van Oudijck governs his province with a firm hand. He's sensitive to the local culture, but convinced of his own superiority as a European over the people under his rule. However, a confrontation with the brother of a local prince unleashes hidden, supernatural forces. 'Hidden Force' is a tale of the former Dutch colonies, but it's also a universal story of the clash between two worlds and the underlying existential unease that continues into the 21st century.